6	JWM Hotel & Casino Andrew Black CEO JWM Hotel and Casino chats to Bill Healey 14	Cyprus Dreams Craig Ballantyne, Property President, City of Dreams Mediterranean meets with Damien Connelly 18	Bennie Mancino Urban Development Bill Healey chats to Bennie Mancino Corporate Vice President of Table Games for Jack Entertainment 23	Let The Journey Begin Kevin Proctor Poker Operations Manager at Genting UK chats to Sophie Behan 25	The UK Dealer Championships Peter White Reports from this yearâ&#x20AC;&#x2122;s UK Final 29	S  cientific Games looks to the East for slotmachine inspiration Marco Herrera, Senior Vice President of Gaming EMEA speaks to David McKee & Glyn Thomas 31	P  layer First, User-Friendly Technology Hits the Spot in London Communication and Management Tools, and a New Poker Jackpot Game excite at ICE. 36	Where Innovation Meets Ingenuity Ljubo Benko, Managing Director of G-Digital chats to Glyn Thomas 39	Multiple Solutions Matt Luckhurst, SUZOHAPP, Sales Director,UK & Ireland interview by David McKee 44	G2E Asia 2019 Josephine Lee Chief Operating Officer, Reed Exhibitions, Greater China Interview with Robert Ambrose 48	Galaxy of Opportunity Rory Credland Event Director Japan Gaming Congress Chats with Peter White 50	ICE VOX Conference A great learning and networking experience attended by Damien Connelly 52	Manage this by Robert Brassai In the land of the blind, the one-eyed man is king 54	The Last Word by Damien Connelly Editorial Policy: The views and opinions expressed in Casino Life remain principally the views of contributors and do not necessarily reflect those of the editor or publishers. The publishers wish to avoid inaccuracies and, whilst every precaution has been taken to ensure that information contained in this publication is accurate, no liability is accepted by the editor or publishers for errors or omissions, however caused. Unless otherwise stated, articles appearing in this publication remain the copyright of the publishers and may not be reproduced in any form without the publisherâ&#x20AC;&#x2122;s written consent. Printed in the UK by MPC Ltd.
Gaming floor will be more than 4,000 square metres. games and slot operation in the coming months. A significant portion of the JWMâ&#x20AC;&#x2122;s customer base are Chinese. How does the property market to the Chinese community? There are now many flights direct from China and South East Asia into Sihanoukville. We will offer high quality entertainment and a different overall experience than the other resorts. We have strong Chinese Junkets and we have also invested a great deal in advertising in magazines and on social media. Does JWM Casino hold gaming events / tournaments? At the moment we are focusing on the soft opening but in the near future we will hold baccarat and poker tournaments. With our strong junket connections we expect a lot of high-end traffic for these tournaments. Is there a loyalty program with JWM? Yes there is. Along with our regular rolling commission programs we have a loyalty program on table games and slot machines. Guests can accumulate points which can be used to purchase goods and services in different outlets throughout the property. Weâ&#x20AC;&#x2122;d like to thank Andrew Black for the time on this interview. Also a big thank you to Andrew and his staff for the three days aboard the JWM ship. professional in the field of hotels, hospitality and tourism. His appointment once again makes clear that the government of Cyprus is both supportive and determined to succeed in its tourism objectives.” From Casino Life’s perspective, we hope Melco, City of Dreams Mediterranean and Cyprus’ Deputy Ministry of Tourism achieve their objectives of enhancing and augmenting Cyprus’ tourism product to being a must-visit destination for all seasons. And that Craig’s T.R.E.E. grows to be a very large and healthy tree. (‘Rock’) where I was a fifth-year hire in May 2000, spending many years serving as a shift manager. I was instrumental as they doubled the table games department in 2010, from blueprint to ribbon cutting as part of a $750 million property expansion. I look back on my time at the Rock fondly. We changed table game operations forever with our freestyle way of dealing and unique brand of customer service. We initiated multi-color layouts, and high fives as an industry norm, not a taboo. I believe my time there created my outside the box way of looking at operations and a responsiveness to a dynamic, diverse, clientele and individualized customer service needs. During my career I’ve held positions as director of table games and director of casino operations at multiple properties before my current role as a corporate vice president. My recipe for success includes statistical level knowledge of all casino table games and operations, logical and commonsense techniques, methodical personnel training, cost-saving procedural implementation, innovation, bets, and game development. My unique techniques improve table game operations and optimizes revenue. As Corporate VP of Table Games, what are the responsibilities of your position? As corporate vice president of table games, I oversee the table games operations at JACK Entertainment’s (“JACK”) multiple gaming properties. My focus is centered on team member development, games protection, departmental optimization, and the cohesive growth of our table games business pursuant to the brand philosophy. From a, “30,000-foot view”, I work symbiotically with each property’s director to analyze performance, make suggestions, and streamline implementation for each property. I also work closely with our vendors assuring our relationships provide productivity for the property’s operations. What is Jack Entertainment, and what areas does the group serve? JACK Entertainment is an urban gaming company focused on the development of gaming facilities that are designed to maximize connectivity and economic impact in the local areas where they reside. JACK Entertainment includes more than 13,000 gaming positions, 400,000-squarefeet of gaming space, 400 hotel rooms, and 35 bars and restaurants. JACK is proud to have nearly 7,000 team members serving guests at its properties. With a focus on urban casinos, what type of unique challenges do they face, and how does Jack Entertainment help address the issues? An Urban casino has the unique challenge of competing with the other great entertainment offerings found in the downtown environment. However, with our properties we have embraced our locations and downtown neighbors by partnering with them to create additional amenities for our guests. What role do these casinos play in the community? Spurring economic growth within the city and partnering with local businesses is a top priority for the properties. Each property partners with restaurants and hotels in their area to offer fine dining rewards and overnight accommodations to guests. JACK is committed to serving the communities in which we do business and believes strongly in the philosophy of giving back. Our team members regularly participate in events such as food and toy drives, school supply drives, walkathons, and volunteer days. Our teamsâ&#x20AC;&#x2122; giving extends beyond cash donations as they also volunteer their time and energy. attractions. The property features a 100,000-square-foot gaming floor and offers nearly 1,900 slot machines, 84 table games, and a 30-table poker room. JACK Cincinnati also recently added Synergy Table Games to its casino floor. Are tournaments a draw at these casinos, and what are some of the more popular tournaments? We run poker tournaments, slot tournaments, and table games tournaments. Both JACK Cleveland Casino and JACK Cincinnati Casino host two major poker events each year. Based in large urban areas, are the guests predominantly locals, or is there a sizable draw from outside the community? While the majority of guests are locals, each property does see a large amount of guests from outside the community. Are non-gaming activities a draw at the casinos Jack Entertainment manage? JACK Cincinnati Casino hosts several concerts and events in its large banquet facility including Martina McBride, Ron White, The Isley Brothers, Sara Evans, The Temptations and the Four Tops. JACK Cincinnati also hosts the popular game show The Price is Right Live every year. Do you see exciting developments coming in the future of casinos and gaming? I see exciting developments in everything I do. Particularly in table games, which I believe will see new life as over-connected gamblers look for an escape from the individualized computer world and look for more personal and social interaction when seeking out entertainment options. Some say a directorâ&#x20AC;&#x2122;s desk can convey a lot about their management style. For some, its organized chaos. Whatâ&#x20AC;&#x2122;s on your desk, and what will it say about your management? You wonâ&#x20AC;&#x2122;t find much on my desk, I am a completely digital and electronically based. I scan relevant docs into digital form files and live via server-client networking and technology. I prefer cutting edge, innovative, and seek out the latest hardware or software technology both personally and professionally, which enables me to maximize that advantage in productivity and ease of operation 24/7. 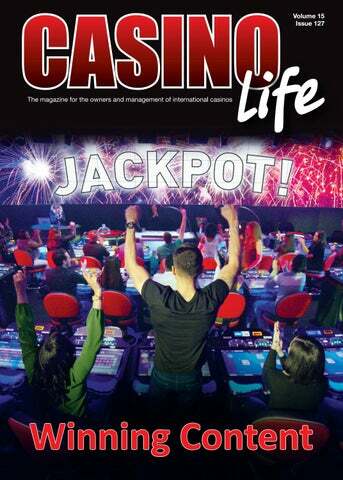 Casino Life Magazine would like to thank Bennie Mancino for his time and valuable contribution. Let The Journey Begin Kevin Proctor Poker Operations Manager at Genting UK chats to Sophie Behan For those who may be new to the poker series, could you explain how it all works? The Genting Poker Series is now in its eighth year and during that time there have been a huge number of changes to the format and structure of the tournament. In 2019 Genting UK will host 17 events over the course of the year in locations as far north as Edinburgh to as far south as Westcliff. This will include 13 Mini events and four Main events, which will be open to players of all abilities and no qualification is required. There is a guaranteed prize pool of £100,000 at each Main event. The Mini events, which will be returning to venues including Newcastle and Reading, will see players compete for a guaranteed prize pool of £35,000 and nine Genting Poker Series Main event seats. In 2019 Mini events will have an entrance fee of £225 and the main events will have an entrance fee of £500. Each event has multiple Day 1’s and if you survive the Day 1 with chips then you progress to Day 2, and in the case of the Main events there is the possibility of progressing to a Day 3. What were the biggest highlights of 2018? Some might say the biggest highlight was when a tournament smashed a guarantee. However, for me it was being able to give local players the opportunity to play an event that would normally be beyond their level of buyin. It gives players the chance to experience the thrill of playing alongside professional poker players. Is there anything you would have changed in 2018? Overall, we felt like the 2018 series went well, but as with any event there are always aspects that can be improved on and internally, we have a team who analyse the tournament and discuss potential changes for the year ahead. Before the start of the 2018 tournament, lengthy discussions were held about whether to increase the entry level for the Main events and if it was worth introducing a Button Ante format. We decided against both changes for 2018 but looking back these are changes that we could have brought in at an earlier date. market, many of whom travel from all around the country. We do also see lots of people from the local area entering the events. What advice could you give new players? The best advice I can give to people is to hone your skills in your local cardroom prior to playing in a Genting Poker series event. It is also important not to feel intimidated by the events. A live poker tournament is a great place to play poker and offers so much more in terms of atmosphere than playing online. Players can also learn a lot more about their game from playing live games in casino. Do you get many players that come back each year? Yes, we do have regulars who return each year to these events and it’s always great to see these familiar faces at the events. Which event is the most popular? Why? I would say that the Mini events are more popular and that is because the slightly lower price point is more accessible to a larger player base. In terms of location, the Luton events are always very popular, and I think this is probably due to its proximity to London. We have also had some great successes in Liverpool and Edinburgh. That being said, all of the events have great turn out and a fantastic atmosphere. In your opinion, what makes a good poker player? That’s a tricky question to answer, but I would say a sign of a good poker player is getting maximum value for their hands and being able to lay down big hands even when convinced that they are behind. In one sentence, is there anything you would like to say to this year’s players? Come along and try the Genting Poker Series! We hope that you enjoy playing these events as much as we enjoy hosting them. Passport Technology, allowed everyone involved to relax and provides a wonderful networking opportunity over drinks and dinner between competitors, judges and media outlets, which helps the Casino industry grow and stimulates innovation and creativity. The evening summed up what the UK Dealer Championship is about, fierce competition followed by operators working together to help better and further the Casino industry. This year the first World Dealer Championship in 2020 was announced by Tracy Damestani, Vice Chair of the European Casino Association (ECA) which will bring the best Croupiers from across the world to Deal it out for the chance to be crowned the World’s best Dealer. Everyone is very excited for this new chapter and to put the entertainment and skill of the Casino Industry on the world stage. Hopefully it will highlight the skill, hard-work, talent and Flare that goes into being a Croupier, opening up new career avenues to everyone. My adventure in the casino industry began 14 years ago by luck. Having finished high school I was searching for a summer job, an advert in a Romanian newspaper had captured my attention and shortly after I joined a dealing training school. One month later I got a full time job as a croupier…. “Place your bets”. I remember getting passionate about this job from day 1, I really enjoyed the environment, I liked the night shifts and every day at work was a new challenge filled with fun. Fourteen years later I am proud to be part of this incredible industry and I will keep investing on my development to make the most of it. How would you describe the experience of the competition? Participating for the first time to UK Dealer Championship was a great experience for me; the team behind the competition did an incredible job organising every single detail. They made us feel special and in exchange we did our best to compete at the highest level while having a lot of fun. Catalina Huzum, Dealer-Inspector, Les Ambassadeurs London How does it feel to Win the UK Dealer Championship 2019? It feels amazing!!! To know I am now officially the UK’s best dealer is just an unbelievable feeling, one that will stay with me for a very long time. When I found out I would be representing Les Ambassadeurs Club at the UK Dealer Championship 2019 I thought it would be an incredible opportunity… I was curious and excited at the same time; I had a look at the previous years winners and realised that male Dealers had dominated this field, I was massively inspired by that and gave my best shot to succeed in what I love doing! I have always thought that women are strong and that there is no reason why they cannot succeed in this job. My target was to be the first ever female to win this competition, it was the right day, the right time and I loved every minute of it. How did you wind up working in the Casino Industry? Are you excited about the Grand Final next month in Tallinn? I am very excited!!! I can’t wait… I will compete with the best croupiers from all over Europe, I feel blessed and I will give 100% for myself, my club and all dealers which shared this incredible day with me. I will meet new people from different countries and I am sure it will be a great challenge for me. Representing the UK and Les Ambassadeurs Club will be an honour and I hope my passion and motivation will help me achieve a great result in Tallinn. How has the news of your triumph been received by your colleagues at Les Ambassadeurs? Les Ambassadeurs Club is the best casino I have ever worked in my career. The Les A experience is an incredible journey for anyone who is lucky enough to be part of it. As a member of staff I feel part of an incredible family who continuously strives for excellence. We are rewarded and looked after on a regular basis with an incredible amount of opportunities. We had 4 croupiers participating at the UK Dealer Championship this year; the company supported and helped us during the training stages approaching the competition. The management team and our colleagues joined our training sessions and helped us prepare for the competition in the best possible way. We felt encouraged, valued and ready to go and show what Les A is made of. We had a lot of supporters during the competition time, some of them travelled from London just to be with us. On our return to the club we were welcomed back like superstars, I was incredibly proud to have been the ambassador of such an incredible team and even more so to have repaid their trust with the Trophy. See you in Tallinn. Murat Salih, Casino Manager, The Hippodrome Casino It was a very fun and enjoyable Championship, and the venue was superb. Thanks. This is the first time the championships have been held outside London and I think it benefitted by doing so. There was a much higher entry level from the regional casinos, which can only be a good thing. And we lifted the entry cap of two participants from each company to allow more entries, which worked well. Organising such a big tournament must require a lot of planning by you and your team? It’s a huge job because we’re looking for every casino in the country to hopefully be involved. Hearteningly, there was a higher number of female entrants this year and more from outside of London. The Standard was high at this year’s event and all the contestants clearly found the experience a great opportunity to show their skills. The standard this year was exceptional, and made me and the judging team fiercely proud. Working in a casino can be like living in your own bubble, and it’s important to meet your peers and compare your skills. Also, to share experiences. It’s a very social event and heart warming to see the camaraderie. Organising all the judges must have required a lot of work? If anything, this was the easiest part of the job. Everyone I asked to take part in the judging was an immediate ‘yes’ and, like the competitors, it was good to see old faces I hadn’t caught up with in years. Importantly, they were honoured to be part of the event. What we’ve got to remember is this competition is important. It demonstrates the immense skill within the industry in the UK, and its commitment to world class training and career development. It also allows the winners to show their expertise, firstly in Europe and then, hopefully, on a global platform at the inaugural World Dealer Championships in 2020. Greg Saint, Event Director, ICE London Events in this industry that assist with promoting the skills and abilities of those employed is vitally important for this sector so the support of Clarion and the other sponsors is very gratefully appreciated by all involved. rewarding journeys – and the Dealer Championships do exactly that. The fact that they give back to the industry, that they offer the chance for those on the ground, in the customer-facing roles, to get recognition for their incredible work and skills is something we feel passionate about. This year’s final will be held at the Olympic Entertainment Casino Tallinn which is yet another impressive Destination Casino. I think that’s an important point. It not only gives the finalists an incredible experience, but it shows just how seriously the ECA and NCF, long-time partners of ours, consider the Dealer Championships. It’s a fitting nod to the high standards and skills across the industry and we wish all entrants the very best of luck! easy solution for entering player ratings, issuing comps and more activities in the pit. The information and transactions recorded at the tables are seamlessly integrated into existing systems and provide casino personnel with secure and instant access to player ratings and data. All of these products and systems integrate on the gaming floor to create the connected and immersive experience for players, while creating efficiencies and value for operators. “We couldn’t be more excited about our new game content, our leading sports betting solution and cuttingedge technology that we are sharing with our partners at ICE. In every market, across all channels, player expectations are driving critical paths of innovation.” He added, “We continue to be committed to providing the best games and the most dynamic player experiences in the industry,” concluded Mr. Herrera. Few would deny that. Communication and Management Tools, and a New Poker Jackpot Game excite at ICE. R Gaming Technology™s Chief Executive Officer and co-founder Jurgen De Munck discusses his Company’s showing at ICE London 2019 in early February. recently very much a ‘pen and paper’ system, and affords operators the ability to reward players better, and more accurately, and probably most importantly, affords more time for staff to actually engage with players as opposed to them literally being ‘tied down’ with administrative tasks. economic downturn, but we didn’t. Actual numbers may have been down, I’m not sure, but we secured some really good footfall, particularly on the Wednesday. Tuesday was relatively quiet, but we secured a number of key meetings ahead of the show, so whilst our booth itself was not as busy as the Wednesday there was a constant flow of customers in an out of our meeting rooms all day, and ultimately that is where the deals are done. So yes I was very happy with the volume and quality of visitors to ICE London 2019.
those operators who are required to monitor player access to their casino, or those who want to monitor player access. Intergrated into a casino’s loyalty or player registration programme the gate provides automated access control and tracking of all players, and affords operators a great opportunity to ‘suprise and delight’ their players as they enter or exit the casino, or a specific playing area. Individual, or group bonus games and special offers can be linked specifically to the gate, and afford operators a further opportunity to communicate with their players and reward them for their custom. Where Innovation Meets Ingenuity Ljubo Benko, Managing Director of G-Digital chats to Glyn Thomas When did you commence your career in the Casino industry and what were your reasons for choosing this sector? I started to work in the Casino Industry in 1991 after having spent five years as a development engineer in electronics. I was young and curious; it was a challenge for me. As I am from Slovenia you might have guessed that I also worked for the HIT Group where I worked myself up to director level with a range of responsibilities. Why and when did you create G-Digital? I established my own company G-Digital in 2003. We started with the development of G-Digital in 2008. During that time we co-operated with a few important companies in the gaming industry as a distributor, development partner or we provided services for them. After the crisis started in 2008 business prospects fell and revenues from co-operations dropped. It was the time to look forward and look for new opportunities. I have a very good team in the company and so I decided to invest in development of the new product â&#x20AC;&#x201C; G-Digital. Can you explain the features of G-Digital Display operating system? It’s a general Digital Signage software. Using G-Digital you can manage and control a network of displays placed anywhere, inside or outside of your premises, as well as on public places to share information or offer advertising. The use of G-Digital is simply limitless. For example: we recently installed our system in a factory with 300 employees at two locations. They decided to run a paperless factory, so all their communication runs through 30 displays. They developed their own software to control production, quality control, get feedback when certain phases in the production are finished. They use G-Digital as the platform to show their applications on displays all around the factory. They decided to use G-Digital after 6 months of intensive testing. For us it’s proof that G-Digital is a robust and bulletproof solution that can be also used in the industrial environment. It’s very similar with our solutions for the Gaming industry. We have developed different setups, such as Wining Numbers Displays and Jackpot Displays. We can show on displays information important for casino operations like winning numbers, jackpot values. It’s important to focus on the fact that there is always a possibility to use part of the display to show advertising or share information. 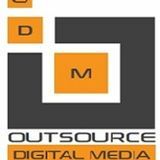 All advertising or informational contents can be controlled and changed from the office anytime with a few clicks. Do you provide training during the installation of your Displays? Naturally training is part of the installation. can use the same software to manage all other displays around their premises. This year we found out on the ICE a new segment for potential customers: Companies running online casinos and land-based casinos, slot rooms or betting shops wish to inform their customers in land-based operations about their online offer. In the land-based operations they want to show their online promotions, jackpot values in real time amongst others. With G-Digital we can simply pull data from the online casino or sports betting site and show them in landbased operations on the displays. We were pleasantly surprised by the number of people who came to see us. Last year we were busy introducing ourselves, inviting people to our stand. The fact that many people made their way to our stand shows us that the name G-Digital has made its mark in the global gaming market. G-Digital is an effective marketing tool, enabling gaming operators to make much more of their digital signage. Can Gaming establishments tailor the displays so they can notify guests of special offers? Yes, the configuration of displays and contents on them can be carried out completely. What we showed on the ICE is just one example of many: Each customer can configure displays according to their needs and requirements, using their own graphics, logos, style. There is practically no limit how to configure the display and contents on it. Security of any operating system is of upmost priority what is G-Digitals approach with your Display Signage system? Security options are integrated in the G-Digital system by default. If a customer has their own IT and security policy, we then do our best to ensure we can match their requirements. How easy is the Signage software suite to incorporate with the Casinos other operating systems? It is very easy indeed. We can pull data from many sources, like database, XML , HTML, txt, rss files ... and show them in proper way and time on the display(s). Usually our engineers work closely with the customer or suppliers of other operating systems in order to ensure smooth integration of G-Digital. How can readers find out more about your company and its products? They can find much information on our web site www.gdigital.eu, but they are also welcome to contact us on e-mail sales@g-d.si and get more specific information. What are the next exhibitions and events this year where readers can meet up with you? We’ll be present at BEGE Expo in Sofia, Bulgaria, in November 2019 and of course on the next ICE show in London in February 2020. Customers are also welcome to visit us in our show room in Kobarid, Slovenia, at any time. Do you provide Gaming establishments free trials of your Display signage systems? Yes, we do. Our product is a software package and it’s very simple to organize and set up a trial. In most cases we can do this remotely with a little support from the potential customer. Most Casinos have bars and restaurants incorporated into their establishments. Can your display system also be incorporated into these locations but in different display screens, providing different information and services? Yes, very much so. This is exactly the reason to choose G-Digital. As we know, it’s a general Digital Signage software. Each display on the network can be configured differently and show different content as scheduled. Options how to use and configure displays and contents on them are limitless. This is done all from one point from the office. Is there anything else you would like to add? We have extensive knowledge to support casino operators in their drive to increase player experience and bolster revenues. Both these are possible when using G-Digital. Our software is intuitive, simple to use and extremely effective as you can see from the examples I have given in this interview. We will gladly answer any questions readers may have. Please get in touch. motto to the industry is that working with us at SUZOHAPP has the additional key benefit: Simplify your Sourcing. This means that our customers have only one contact for multiple requirements – this saves time and money. Naturally when we can source multiple solutions for our customers this has a cost saving for them through the economies of scale. replacement parts. So locating and ordering is a factor and the SUZOHAPP website is clearly very well designed. We are constantly looking how we can update and improve our website given the many thousands of products and solutions we sell into many markets. Continue to keep your eye on our website â&#x20AC;&#x201C; you will see it evolve along with other channels to ensure we can meet our customers demands and business objectives. If a customer requires a specific product for their gaming establishment that you do not stock can you get if for them anyway? Absolutely. With over 50,000 products currently in our portfolio we are ideally placed to meet the majority of requirements as standard, however, as we work with a wide range of suppliers, and we have our own manufacturing operations, we can meet any requirement be it for standard product or a bespoke solution. and also a white label approach. This is undoubtedly a growth area and one that we can deliver well for the sector. Both ELO Touch and VisionPro™ Edge-Lit LED Touch and Non Monitors and Displays have proven very successful products for SUZOHAPP with the Gaming Sector. What do you think are amongst the primary reason for these products popularity? Product quality, our support, quick delivery times and a favourable price – these are all the factors. ELO is undoubtedly the optimal high-end solution for touchscreens. Our VisionPro™ Edge-Lit LED monitors / touchscreens are in great demand as such solutions make gaming machines really stand out and more and more gaming machine manufacturers are offering their cabinets with these products – their customers simply have more fun playing the slots when they look better. send direct from their warehouses? We maintain and optimise our stock levels based on a number of factors and where necessary we are able to work with our partners to meet the logistic requirements of our customers. & Business Solutions, Game Development Zone and the Asia Lottery Expo and Forum, while welcoming our newest additions, ESports Connect Asia and Financial Technology Asia. small, casual and interactive networking cocktails, caters to attendees of all interests, levels and backgrounds. This year’s offerings will focus on Table Games, Slots, Lottery and Future Leaders. Can you explain to our readership the details of the recent announcement of the Launch Fintech Segment to its Expo “Financial Technology Asia,” at this years G2E Asia? This year, we’re excited to be partnering with Blockchain Labs (Co., Limited) to organize our newest show segment and high-level forum, Financial Technology Asia. Its exclusive platform, sure to catch the eye of internationals in AsiaPacific’s skyrocketing FinTech industry, will provide a unique opportunity for financial technology and solution providers to showcase the latest solutions and services, including cloud financial solutions, block chain technology, cybersecurity, FinTech, and payment solutions. Attendees will be able to explore collaboration prospects with financial professionals ranging from casino and gaming platform operators to banking and financial institutes, funding and venture capitalists, and FinTech system integrators. It will additionally serve as a gathering point for influential members and solution providers in Asia’s FinTech community. We’ll be announcing more details on our newest segment in March via our official g2easia.com, EDM and our social media event sites including Facebook and LinkedIn and Twitter. Given the rapid growth in size of the Hotel Resort Casino sector in South East Asia do Reed and the AGA envisage launching smaller events in neighbouring regions in the coming years? We are definitely exploring that option. G2E Asia currently boasts a 74-percent international visitor representation. And with each new edition, we’re seeing growing numbers of visitors from Southeast Asia. There are always companies that leave it for one reason or another to the last minute to exhibit at exhibitions for those considering exhibiting is there still time to organise a booth? Absolutely. Though, I wouldn’t wait too long as space is going rather fast! Have you an app or easy access to the website for visitors so they can navigate around the exhibition show floor and insure they are on time to attend the conference? The G2E Asia Mobile App maximizes user digital experience with “fingertip access” to event-wide information, including exhibitor profiles, conference program and speaker details, new product previews and special event updates. Additional capabilities include anytime-access to personalized company and product profiles, internal messaging, personal itinerary and meeting requests, all of which further provide time-saving access to the information they need to smoothly navigate the event. Akin to its namesake, G2E Asia’s mobile app is always improving for the better. Together with this year’s Lead Generation Scanner (Lead Gen) enhanced feature functions, new planning functions allow exhibitors to scan visitor badges to capture an immediate basic profile. Conversely, visitors have an option to add notes on exhibitors while exploring the show floor to keep those crucial details in-check. Visitors can also tag “favourite” products/exhibitors to save and for image-sharing. All app users can get additional assistance onsite at the Match Me Booth and via multiple 3D exhibitor floorplans, which can be viewed at various kiosk locations across the show floor. Their innovative search-and-navigation function delivers full access to all exhibiting company profiles and details. Floor plans are also uploaded to the official G2E Asia App and website. The wildly popular New Product Hot Hits further encourages interaction and meetings onsite by presenting a public real-time ranking of the most popular products and services showcased by G2E Asia exhibitors. Taking direct inspiration from the G2E Asia Mobile App and its Lead Gen feature, visitors keen to take part can scan the QR code of exhibitors or new products of interest, with an added option to express their “Likes” or “Favorites”. Hot Hit boards, installed in high-traffic areas around the show floor, then provide a live ranking of the top-tenmost-scanned and liked-by-visitor new products, while a “Heat Index” provides a live monitoring of event-wide app performance. In a World of instant news Casino Life provides an unrivaled insight into the land-based Casino Industry World-Wide. Rory Credland Event Director Japan Gaming Congress Chats with Peter White Japan’s Government is constantly announcing new legislation, will attendees have the advantage at JGC to gain the most accurate interpretation and explanations of these guidelines and laws? For the past 4 years JGC has developed a very loyal network of advisors and experts who are on the pulse of progression on a daily basis. One of the key objectives of the 2019 version is to really explore the reality of the law & guidelines, and their impact on the whole IR economy. Some of this year’s speakers including GMA, Goldman Sachs, Marina Bay Sands, MGM Japan, Galaxy Entertainment and Toru Mihara are on hand to help with this. Japan is set to be one of the Worlds biggest Integrated Resort Casino destinations with a potential gross gaming revenue at 1.75 trillion yen assuming the three regions of the metropolitan Tokyo Osaka and Hokkaido are chosen as sites. So the role of JGC is significant. Will there be representatives from the Japanese Government at this year’s Congress? As always with JGC, we welcome a healthy attendance of Diet members, local government, and prefectures. Gaining their support over the years has been key in getting JGC the profile which it now has in the local market. We expect even more this year. What are the plans for this event in the future, could we see it evolving into an ICE Tokyo? There is always an opportunity to expand the ICE brand beyond London, similar to what we have done in North America and Africa in recent years. We will of course be keeping a close eye on the market in Japan and further afield to work out the best time to bring the ICE experience to this region. How easy is it for those whom have not previously attended JGC to get from the airport to the venue? Japanese transport companies and Diet Members. It really is the place for any industry looking to be part of that market. For those that may want to factor in a little sightseeing how easy is that to do? Tokyo is an amazing city full of incredible experiences, sightseeing is rich and in every district â&#x20AC;&#x201C; a must when in town! Specifically, it boasts the most Michelin star restaurants in the world, and I would personally recommend a visit to the Meiji Shrine. Have you learnt any Japanese language and have you any particular favourite Japanese food? My Japanese is work in progress! I have never had a bad meal in Japan on the many visits I have now made there, it is a different culinary experience to anywhere else in the world and has certainly spoilt Londonâ&#x20AC;&#x2122;s sushi offering for me. How excited are you about Japan and these new Integrated Resorts and what are you looking forward to seeing once they commence opening up for business? Very excited. I feel that all of the cultural and technological aspects that Japan can add to an Integrated Resort, they really will be some of the finest examples in the world. gambling including horse racing and motorbike racing. Confusion exists in Japan about what the term Integrated Resort means. Many people — politicians and consumers — think IR is only a casino…a ‘ghost casino’.” Ms. Nakayama stressed the focus of the Japanese government is on developing IR’s focused on non-gaming amenities that will support Japan’s push to open its tourism market. She compared this push to open its tourism market using IR’s as its flagship tourism products to being similar to how Japan culturally and economically opened itself to the outside world in previous centuries. Mr. Bowers estimated the investment for Japanese IR’s could go as high as US$12 billion. Mr. Jonathan Strock, CEO, Groupe Barrière Japan, acknowledged this $12 billion relates to an IR in a metropolitan area such as Osaka, which is a complex site to develop. Mr. Strock and Ms. Nakayama noted an IR in a smaller Japanese city would likely require a $4-5 billion investment. If you are being asked to finance multi-billion dollar investments, you want to know your investment is secure. Mr. Akira Kurita, IR Specialist, Hakuhodo Capital, stated that the Japanese central government is in two minds at present. They are considering: 1. Select all three IR locations in metropolitan areas, namely Osaka, Tokyo and Yokohama. Or 2. Select a combination of metropolitan areas and local cities, with one or two of the IR’s in metropolitan areas, and the remaining one or two in local cities. Local cities being considered include Sasebo and Tomakomai. Mr. Kurita of Hakuhodo Capital confirmed that central and local governments will decide on the split between metropolitan and local cities in Autumn 2019. This date was originally going to be in Spring 2021, but central government has brought it forward. As Mr. Bowers from MGM stated, “2019 is going to be a very interesting year for the development of IR’s in Japan.” It is possible that the Japanese government will allow a two tranche development process. This would enable a location to develop and open more quickly its IR. With Osaka to host the 2025 World Expo, such a two tranche approach would allow Osaka to begin building its IR early. During the Japan Roundtable discussions, I chatted in more detail with other influential people, including Mr. Masahiro Terada. Mr. Terada is a consultant to the Osaka local government and works as Business Development Leader for PwC Consulting. Mr. Terada stressed that it is a very important decision to select the best partner (operator) to work with the Osaka Prefecture. This is understandable as the investment required to build the Osaka IR is huge. Also, once completed, it is forecast the Osaka IR would be the largest IR in the world. Based on my calculations, I estimate Osaka’s IR annual revenue would be almost US$9 billion once all its amenities are operational. In my own opinion, having discussed and researched options with various people, Osaka will definitely receive one of the IR licenses. I think it is also probable that Yokohama will receive one license, leaving the other one undecided. Again, and I stress this is my own opinion, I think a southern location such as Sasebo will get the third license. The Japan Gaming Congress runs 16-17 May in the Conrad Tokyo, and is organised by Clarion Gaming. For a market with the potential of Japan, it’s worth adding the JgC to your global must-visit conferences. Go to Japan! articles, white papers and studies are freely available on the internet for those who bother to look. It’s not always easy to connect the dots though and put these resources into a manageable and easy to understand order. Relevance is another issue, as technology changes methodology and principles faster than I can type these words. Secondly, it helps to work for a company with an education program or the willingness to spend serious dollars on training and courses, like the EDP or the TGA. Who your direct managers are is probably what makes the biggest difference in how your career will shape up and what kind of a leader and industry professional you will become. Find your mentor or let your mentor find you. There are a lot of brilliant minds out there. Let’s take the issue of millennials for example. Based on very sketchy and mostly irrelevant information on this much spoken about generation, casino managers are heavily investing in product offered by manufacturers that will take up serious amounts of floor space and be used a few hours every weekend by visitors who will never turn into regular casino patrons. Obviously, there is a lot of trial and error in every business, but many of these could be avoided if the people calling the shots would have the knowledge to take sound decisions based on facts, mathematics, logic and common sense. It is the purpose of this column to discuss ideas and issues that make a difference in how you run your businesses and help our industry towards an era of knowledge-based casinos. Biography Robert Brassai, consultant, strategist and gaming expert. Robert is the founding principal of the gaming consulting firm “Sense4gaming.” The firm takes on projects from casino concept and management to marketing and operations. Robert brings to the casino industry a wide range of experience and expertise. Robert, a leading casino executive has used his wealth of experience to establish and transform many casino businesses. In the past 25 years he has opened and managed properties for some of the industry’s leading companies like Sun International, Queenco and Kerzner International. Angels and Demons Welcome to The Last Word. In London I chatted with many Operators. Whenever we touched on the topic of regulation, the responses were always similar: No casino operator ever started a recession. No casino operator was ever involved in the sums being uncovered in the banking situation in Estonia. Operators welcome appropriate regulatory frameworks. Casinos are very tightly regulated compared to industries such as banking. If a casino operator makes a big enough mistake, it gets severely punished. Casino properties are closed. Companies lose their operating license. Property management can lose their license to manage casinos. I have seen all of these things occur across the world. What happens to banks and bankers when they make a big enough mistake? To answer my own question, “Yes, I think casino operators are demonised.” ‘Casino’ is often used to mean something negative by the mainstream media. Many times I see mainstream media use the phrase, “This bank / stockmarket is being run like a casino.” Actually, if that bank or stock-market was being run like a casino, there would be no major issues — we wouldn’t have bank-induced recessions and financial crashes, economic bubbles would not form, and inflation would be easy to manage as all major economies would have a second set of chips in storage (chips = cash = M1 money supply in economic language). While no industry is perfect, casinos don’t cause the kind of shocks and crises that some other industries do. More businesses should operate like casinos.